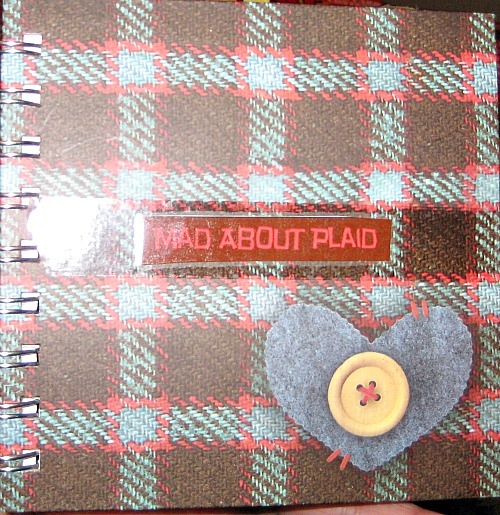 This journal is for everything about plaid. In the United States a plaid is the criss-crossed pattern. In the United Kingdom the pattern is called tartan and the plaid is a blanket or shawl. Do you have a favorite plaid thing? What is your favorite pattern? Or, were you really mad about plaid because you were forced to wear a kilt or tartan as a child and have some bad plaid stories? Please use your stories, drawings and pictures to document your thoughts and ideas on plaids and on plaid, tartan, gingham, tattersall and madras patterns in this journal. PLEASE RELIST ONLY ON BOOKMOOCH and when you pass this on, please make sure the other person is another journaler and that they know it needs to be passed on. Please notify me when book is full.